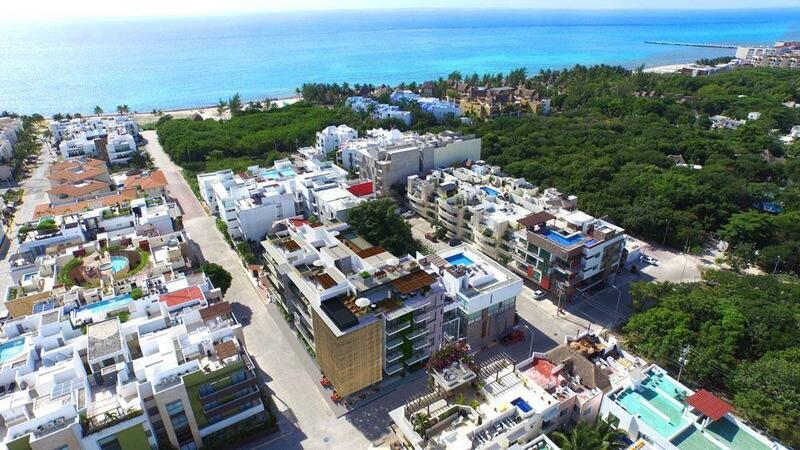 This new development is located in the heart of Playa del Carmen, near of the most famous street, Quinta avenida and just 10 minutes away from the beach. Each unit has kitchen equipped with electric stove and water heater, cabinets and facilities for washing center and dishwasher, air conditioning in each room, bathrooms with tempered safety glass and top quality modern finishes. pool, gril,, equipped solarium, elevator, parking car & bike, roof garden and security.